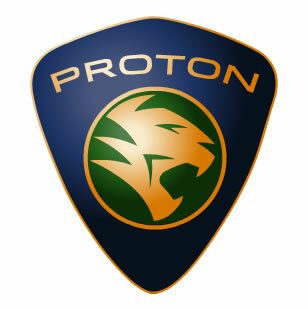 The MAIN problem with PROTON is of poor management?. KUALA LUMPUR : An audit report commissioned by Malaysia's national carmaker Proton has criticised poor corporate governance in the past at the troubled company, local media said Sunday. The Edge financial weekly cited a comprehensive report from PricewaterhouseCoopers which it said revealed, among other findings, that approval from the board of directors was only sought after decisions had been made or agreements signed by management. According to The Edge, the PricewaterhouseCoopers report says some projects were implemented without proper consultation and billions of ringgit was spent without in-depth discussions. The audit firm started preparing the report for the present Proton management in September last year, with the findings going as far back as 1996. Mahaleel Ariff was Proton's chief executive from 1997 until he was ousted in July last year. He oversaw the purchase of debt-ridden motorcycle maker Agusta for 70 million euro (now $89.6m) in 2004. After his departure, Proton sold Agusta to Italy's Gevi SPA for a token sum of one euro. Mahaleel and Proton advisor and former prime minister Mahathir Mohamad have strongly criticised the Agusta sale, demanding information on why it went ahead and saying their credibility is at stake over the deal. Tun Mahathir is suggesting Malaysia and the rest of world should put pressure on US to end its support for Israel by switching to using Euro instead of dollar. So what has our PM Badawi, Chairman of OIC has suggested so far? LANGKAWI, July 29 (Bernama) -- Former Prime Minister Tun Dr Mahathir Mohamad Saturday urged countries in the world to stop using the US dollar in their international trade in order to pressure Washington to end its support for Israel's savage attack on Lebanon. He said the oppression and cruelty of Israel against the Lebanese and Palestinians would not end so long as the United States continued to support and give aid to the Jewish regime. "Switching out of the US dollar to using other currencies such as the euro and yen or gold will somewhat weaken the US and put pressure on it," he told reporters after visiting several development projects here. He was asked to comment on the fierce land, sea and air bombardment of Lebanon in the past few weeks which had destroyed much of southern Lebanon and killed more than 600 Lebanese. Dr Mahathir said Israel would not have dared to attack Lebanon without the financial and arms support given to it by America. He said Israel was definitely wrong in attacking Lebanon but the bigger wrong was committed by the US in supporting the Israeli action. "If the world is sincere in helping the Lebanese and Palestinians, they should reject the use of the dollar in international trade. "When the demand for the dollar falls, America will be weakened and it will lack the ability to act as a bully in the global stage," he said. He said the suggestion to stop using the dollar in international trade would be difficult to implement because many countries relied on it and they were also afraid of offending the US. 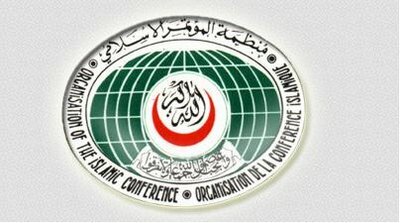 Even the Organisation of Islamic Conference (OIC) did not have the courage to take on the US because its members were divided in their stand, with some supporting the US while others were opposed. "We cannot hope for OIC to do anything. Only when the Western world acts, then the OIC might follow suit," he said. Tun Mahathir voicing out his dissatisfaction with the current Government as the Chair of OIC. Dr Mahathir Mohamad has now turned his attacks on his successor Abdullah Ahmad Badawi’s passive leadership of the Organisation of Islamic Countries (OIC). “Our time as host and leader to the OIC is almost up. But unfortunately, during three years as leader, we didn’t do anything,” said Mahathir during a dinner in Kota Bharu last night. He claimed the OIC under Malaysia’s leadership had been silent during the Prophet Mohammad caricature controversy earlier this year. “Correctly, we should have initiated some action to defend the followers of Islam, because we have been entrusted with leading OIC,” he said. Mahathir went on to allege that foreigners no longer deem Malaysia a modern Islamic country capable of setting an example and leading the Muslim world. Dr Mahathir described the attack as an attempt to stop him from speaking out. Dr Mahathir was on a one-day visit to Kelantan and was scheduled to attend a dialogue and dinner organised by the Kelantan People’s Action Council headed by Datuk Paduka Ibrahim Ali. Prime Minister Datuk Seri Abdullah Ahmad Badawi said he was angry over the incident and ordered the police to conduct an immediate investigation and to take stern action against those responsible for the act. "I regret and am very angry such an incident has happened," he said, adding that those responsible for the incident should be severely punished. He said the matter should be immediately resolved to avoid negative implications and misconception among the public. The Prime Minister also feared that certain quarters would take advantage of the incident by disseminating rumours, especially through the Internet. 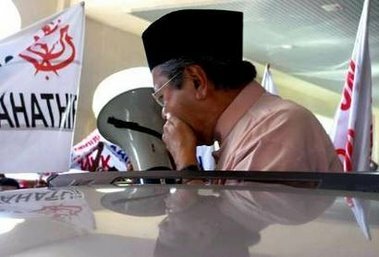 Tun Mahathir coughs as he is about to deliver a speech at an airport in the northeastern town of Kota Bharu, July 28, 2006. 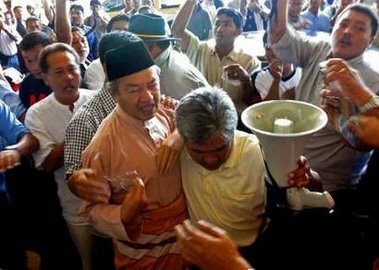 Tun Minister Mahathir Mohamad grimaces after he was attacked with pepper spray as he was about to deliver a speech at an airport in the northeastern town of Kota Bharu, July 28, 2006. Mahathir, embroiled in a bitter spat with his successor's administration, was attacked with pepper spray on Friday as he prepared to address a public meeting, an aide said. KUALA LUMPUR, July 28 (Bernama) -- Deputy Inspector-General of Police Tan Sri Musa Hassan said he had ordered an immediate arrest against the culprit who sprayed a form of substance at Tun Dr Mahathir Mohamad in Kota Baharu Friday. He said police which conducted the investigation, had identified the man who had sprayed at the former prime minister who arrived at the Sultan Ismail Petra Airport Friday morning for a one-day visit to Kelantan. In a statement, Musa said the incident happened following an argument between two groups which organised two events to welcome Dr Mahathir to the state, one led by former Pasir Mas MP Datuk Ibrahim Ali and another by former Kuala Krai Umno deputy chairman Datuk Nik Sapeia Nik Yusoff. He said while they were accompanying Dr Mahathir to the awaiting car, there was a slight argument between the two groups to usher him to the car belonging to Ibrahim's group. 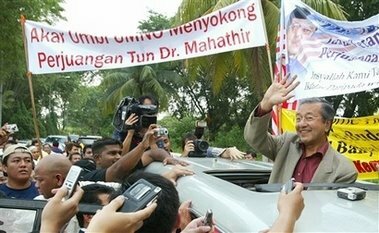 "Each group tried to usher Dr Mahathir to their car. "At that time, a man had sprayed some form of substance at Datuk Ibrahim Ali's face, and accidentally splashed onto Tun Dr Mahathir's face and his aide," said Musa. He said, Dr Mahathir was later ushered by his aide to another car to take him to his hotel. Musa also denied reports on the Internet that Ibrahim's eyes had been sprayed by men in jackets believed to be from the police special operations force. He described reports on the net as defaming the police and the government. Musa warned that the police would take stern action against anyone who spread lies on the Internet and the mass media. According to the latest report received by Malaysia Today, Datuk Nik Safia bin Nik Yussof was the ‘unidentified person’ who sprayed Tun Dr Mahathir Mohamad with either mace or pepper spray. Datuk Nik Safia, one-time Deputy Chairman of Umno Kuala Kerai, had earlier stormed into the airport with six tough-looking bouncers in boots and leather jackets and confronted Tan Sri Abdullah Ahmad (ex-Member of Parliament Kok Lanas). He then demanded that he be allowed to ‘take’ Tun Dr Mahathir. Tan Sri Abdullah would not engage Datuk Nik Safia who then said that he would ‘take’ Mahathir at all costs. When Mahathir arrived he was ushered into Datuk Ibrahim Ali’s Pajero. Datuk Nik Safia then sprayed mace into the Pajero and grabbed the shocked Mahathir and bundled him into his (Datuk Nik Safia) own car and zoomed off. It's reported by Malaysia Today that Tun Mahathir has recovered and will go on with his scheduled talk at 3.30pm. ** Catch the LIVE streaming of Tun Mahathir's talk that is scheduled to commence at 3.30pm Malaysian Time. Click here for the LIVE streaming. It's reported that Tun is being treated at a hospital at Kota Bahru. No updates yet at TheStar, Bernama, or NST. The server hosting the LIVE STREAMING of Tun Dr Mahathir's speech from Kota Bharu which was hacked earlier has been restored while the Internet line at Perdana Hotel which was also down is up and running again. We hope to Stream LIVE as scheduled. newsflash There was commotion at the Kota Bahru airport soon after Dr Mahathir Mohamad arrived at 10.50am to begin a two-day visit to PAS-controlled Kelantan. About 1,000 people were present to welcome the former premier. As soon as he emerged from the VIP lounge, several men in jackets escorted him as he made his way into a waiting Mitsubishi Pajero, said to be arranged by former Umno strongman in Kelantan Ibrahim Ali. The commotion started as this point as the crowd jostled to catch a glimpse of Mahathir. In the ensuing moments, Ibrahim Ali was sprayed on the face with mace by one of the men in jackets, believed to be from the police special operations force. Mahathir, who was already seated in the Pajero, was then forced out of the vehicle by a few men in plainclothes. He was then whisked away in a car bearing plate number 'DS 666'. Later, Ibrahim told reporters at the scene that it was an 'act of sabotage'. He also claimed that Mahathir was also sprayed with mace. KUALA LUMPUR, Malaysia (AP) - An unidentified assailant attacked former Prime Minister Mahathir Mohamad with pepper spray Friday in a northeast Malaysian city, witnesses and an aide said. Mahathir had just arrived at the airport in Kota Bahru, the capital of Kelantan state, surrounded by about 1,000 cheering supporters, when an unidentified assailant fired pepper spray from a can at him, said a witness, speaking on condition of anonymity. Mahathir, 81, staggered and choked from the acrid spray, and was immediately whisked away by his guards in a car, the witness said. "It was a pepper spray attack. It choked him and he could not breath very well,'' said an aide, also speaking on condition of anonymity. KOTA BAHARU, July 28 (Bernama) -- Former Prime Minister Tun Dr Mahathir Mohamad who arrived here this morning for a one-day visit to Kelantan was forced to cancel his speech to an awaiting crowd at the Sultan Ismail Petra Airport when an unknown person sprayed tear gas into his face. He was seen coughing as he stood in a sun-roof four wheel-drive to begin his speech using a loudhailer at about 11 am. Meanwhile, State Police Chief Datuk Zulkifli Abdullah said police had yet to identify the substance used in the tear gas and that no arrest had been made. Seeing that Dr Mahathir was coughing badly, a few of his assistants led him out of the four-wheel drive to another vehicle and left the airport. Dr Mahathir's special officer, Sufi Yusoff, when contacted said, Dr Mahathir's health was not affected by the incident and that the former prime minister would continue with the programme on his visit as scheduled. Among those present to greet Dr Mahathir at the airport were former Kelantan Menteri Besar Tan Sri Mohamed Yaacob, former Pasir Mas MP Datuk Ibrahim Ali and former New Straits Times Group Editor-in-Chief Tan Sri Abdullah Ahmad. Dr Mahathir, who then attended a luncheon at a hotel, would attend a programme organised by former Umno elected representatives later in the day before giving a speech at a dinner hosted by the Kelantan People's Action Council led by Ibrahim. Freedom of speech practice by Malaysia. The Information Ministry has never issued any directive, written or verbal, preventing Radio Television Malaysia (RTM) and the Malaysian National News Agency (Bernama) from giving coverage to former Prime Minister Tun Dr Mahathir Mohamad. Deputy Information Minister Datuk Ahmad Zahid Hamidi said the important principle in news reporting depended on journalism ethics and credibility of the news. "There is no directive for the two agencies not to give coverage (to Dr Mahathir)," he told reporters after delivering a keynote address on Islam Hadhari or Civilisational Islam and Corporate Governance at a conference on Corporate Governance for Directors at Datai, here Thursday. Thirty-five participants are attending the two day conference. Ahmad Zahid said freedom of the press in Malaysia was still controlled through the issuing of licences and journalism ethics. He said the Malaysian media had their own objectives in discharging their social responsibilities towards creating solidarity among Malaysians, regardless of their religious, ethnic and political background. Tun Mahathir, a businessman for "Roti"
Tun Mahathir is now a "roti" businessman. KUALA LUMPUR (Reuters) - Malaysia's outspoken former leader Mahathir Mohamad, embroiled in a political row with his successor's government, has a new venture -- running a Japanese-style baker's shop. The 80-year-old politician is chairman and controlling shareholder of a firm operating a business called "The Loaf" serving bread and pastries. It opens its doors in the resort island of Langkawi on Saturday. "I have always urged people to go into business through joint ventures with foreigners," Mahathir was quoted as saying by the Star newspaper on Thursday. "Now I want to try my hand at both -- making bread and joint venture with the Japanese," he said, adding that he had a favourite baker's shop in Tokyo called "Johan". Mahathir owns a 51 percent stake in a company called M&M Consolidated Resources Sdn Bhd, which is investing three million ringgit ($817,000) in the venture. A Japanese partner owns the remaining 49 percent stake. The company plans to expand by setting up shops in Kuala Lunmpur, Phuket and Singapore, the newspaper said. 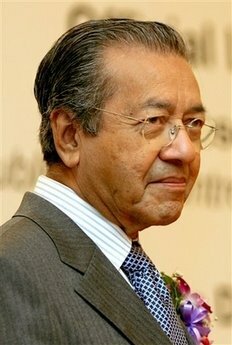 Mahathir had some business experience before turning to full-time politics, running a medical clinic and petrol kiosk. He retired in 2003 after 22 years in office as prime minister. Tun Mahathir is showing his gratitude towards the Chinese community in Malaysia for their tremendous contribution to the growth of Malaysia. "I know the Malays may not want to hear this, but the Chinese have contributed tremendously to the growth of the nation. The dynamism in Malaysia is largely due to the Chinese. They are hardworking, skilful and diligent people," he said today. Mahathir was speaking at the launch of ‘The Chinese Malaysian Contribution’, a book recounting this community’s role in the development of Malaysia. “This (the book) is a good initiative. We must always record history...otherwise later on, people will have to (conduct) research and it might not be very accurate. I have read parts of the book myself, and I do hope Malaysians too will read it,” Mahathir said. For more, check out the news in Malaysiakini. Who is having memory relapse? Tun Dr Mahathir or Tan Sri Tajudin Ramli? The case is really heating up, with leaflets being distributed in the Dewan Rakyat, and Tun Mahathir denying the allegation that he forced Tan Sri Tajudin Ramli to purchase Malaysia Airlines (MAS) to help bail out the central bank, Bank Negara. KUALA LUMPUR, July 12 (Bernama) -- Three leaflets defending former Malaysia Airlines (MAS) chairman Tan Sri Tajudin Ramli on the issue of his purchase and subsequent sale of shares in the national carrier were distributed to two Members of Parliament Wednesday. Copies of the leaflets were placed on the desks of S.K. Devamany (BN-Cameron Highlands) and Dr Wee Ka Siong (BN-Ayer Hitam) before the Dewan Rakyat sitting began. One leaflet in Bahasa Malaysia carries the title "Tuntutan Balas Tajuddin Ramli Terhadap Danaharta, Mengapa Dia Berbuat Begitu?" (Counter Claim by Tajuddin Ramli Against Danaharta, Why Is He Doing It?) while another is the English version. The third leaflet is also in English with the title "The Tajuddin Ramli Bombshell: Who Is the Real Culprit?" 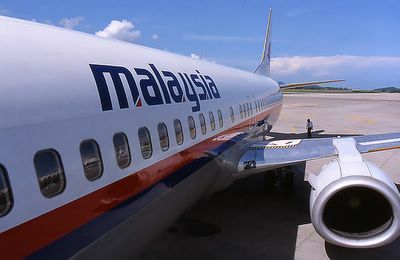 KUALA LUMPUR (AFP) - Former Malaysian prime minister Mahathir Mohamad has denied a bombshell allegation that he forced a local tycoon to buy Malaysia Airlines (MAS) to help bail out the central bank. Businessman Tajudin Ramli is suing for compensation over the deal, which he said Mahathir forced him into in order to raise money after the airline's then owner Bank Negara suffered massive foreign exchange losses. "I don't remember instructing him to buy MAS shares. At that time the goverment was not short of money. Yes we lost some money but we know what to do, how to recover, and we recovered," Mahathir told reporters. "Perhaps you should ask him how he came up with the conclusion that I forced him to buy MAS," said the former premier, who had just returned from overseas and was responding for the first time to the charges aired earlier this month. Tajudin was one of a number of Malay entrepreneurs hand-picked by Mahathir in business dealings as part of efforts to boost the wealth of the country's majority ethnic group, or bumiputras as they are called. Analysts have said the affair has shed light on long-held beliefs about government assistance given to bumiputra businessmen in the country. Tun Dr Mahathir Mohamad is seeking an Umno gathering to explain his stand over the spat with his handpicked successor Prime Minister Abdullah Ahmad Badawi. I guess he has the right to explain his opinions and point of views to the UMNO grassroot members. However, I prefer a one-to-one debate, eg. US Presidential Candidate debate and telecast live over the televisions. That should be fun to watch!. "They said it’s not true that I can’t speak to Umno members so I would like to have an Umno gathering to speak to Umno people," the former party leader told journalist today. "If they allow me to speak then I speak because they say they are not stopping me from speaking to Umno members. So, okay, I’m going to organise an Umno meeting." Meanwhile, Mahathir confirmed that Umno veteran and Malacca state governor Mohamad Khalil Yaakob was the mediator to help resolve the row between Abdullah and him. “I have met Khalil (left) who is the mediator. I have told him what needs to be done. It’s up to him. I explained to him what’s the problems and he asked me how to solve the problems. “I told him, very simple - don’t kowtow to Singapore, don’t give to many APs (approved permits to import foreign luxury cars), don’t undermine (national car maker) Proton, don’t sell (Italian motorcycle unit) MV Agusta,” he said. Asked on the progress of the mediation, he said Khalil has yet to speak to him after the meeting, held before Mahathir left for his holidays. Tun Dr Mahathir Mohamad will be giving a talk at Hotel Perdana, Kota Bharu, Kelantan. 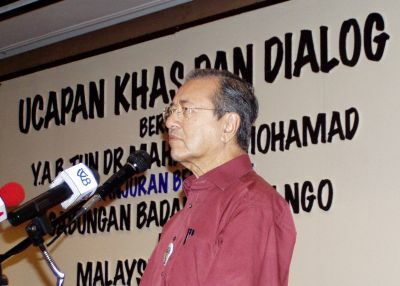 The two-and-a-half hour event is expected to kick-off at 3.30pm on Friday, 28 July 2006, and is the second in a series of dialogues being organised for Mahathir to explain current political issues to the Umno grassroots. Audio only for those who only need to hear without viewing. Interview that was conducted at Tan Sri Mahaleel's home. In the interview, Tan Sri Mahaleel explains some of the issues concerning Proton Holdings. ** Videos extracted from Malaysia-Today. Tun Mahathir is really on the loose now. Is he the senile retired Prime Minister or he really has a greater interest and love for the country? Looking at the amount of supports that he received today at Subang Airport upon his return from overseas trip, one might start to wonder. KUALA LUMPUR (AFP) - Former prime minister Mahathir Mohamad vowed to continue his campaign against his successor Abdullah Ahmad Badawi, saying that Malaysia was losing its self-respect. "This is a free country. Anyone can say anything. What is that you (the government) want to hide?" Mahathir, 81, told a crowd of some 600 noisy supporters after returning home from a two-week holiday in London and Turkey. "This is a transparent government. Anyone can say anything. If I want to speak, I will speak," he said after landing in a private jet at a military airport in Kuala Lumpur. The supporters, many of them members of the ruling United Malays National Organisation (UMNO), carried banners reading "Mahathir Save Malaysia," and "Wipe out the traitors of religion, race and the country". Abdullah is the president of UMNO, the largest and most powerful political party in Malaysia with some 3.0 million members. I didn’t think that one day I will get such a reception [crowd claps and cheers wildly]. But when I was prime minister, there were more people (to receive me) [crowd laughs]. Now, I am not allowed to meet people. What are they so afraid of? [crowd shouts: ‘not scared, not scared’]. Why are they scared of me? It’s not that I can do anything [crowd: laughs]. Here're the videos extracted from Generasi-M website. KUALA KANGSAR, July 17 (Bernama) -- The International Trade and Industry Ministry will publish a booklet to put an end to the controversy surrounding the issuance of permits to import vehicles or APs. Minister Datuk Seri Rafidah Aziz said that she hoped the booklet would give a clear explanation to the people pertaining to the issue. "I have given explanations (on the APs). I am already tired of answering questions about it which are all not right (not accepted). I have done it in Parliament and during the last Umno assembly. "I hope the explanation through the booklet will be accepted by all parties without prejudice," she said during a function at the Sungai Perak Safari Resort here Monday where nine people received accolades for their contribution to the people in the Kuala Kangsar Parliamentary constituency while 53 school students received cash aid of RM100 each. Rafidah, who is the Member of Parliament for Kuala Kangsar, said she hoped the spat between the current leadership and former prime minister Tun Dr Mahathir Mohamad would not prolong as the government had answered all questions that had been raised. "Fortunately, during my visits overseas like to Europe and South Korea recently, no one asked about the spat. They did not ask because they are business-minded and do not care much on political affairs in the country," she said.